The Dar Teknohama business Incubator (DTBI) in collaboration with Vodacom Tanzania PLC and Tanzania Data Lab are excited to present the Codelikeagirl program which will take place from 29th April – 3rd May 2019 at Tanzania Data Lab (Dlab) New Bagamoyo Road, opposite COSTECH Building Dar es Salaam Tanzania. The training programme will cover basic knowledge of computer languages and development programmes including HTML, CSS, GitHub and Bootstrap. Participants will also be taken on a fun and empowering life skills journey while developing coding, presentation and communication skills. At the end of the week, they will know how to develop their own website and present their work to the rest of the coding class. 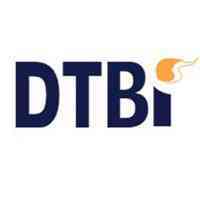 Furthermore, for those with innovative ideas and want to scale them up, DTBi would be happy to support them. Able to speak and understand English to the extent they can learn and fully participate in the workshop. Have not been on a Codelikeagirl workshop previously. All attendees must have relevant parental / guardian consent for them to attend. All participants must be able to travel to and from the workshop. Should be attend all four days of the workshop from 8am to 4pm daily. All Form four leavers are highly encouraged to apply! Tea, lunch and transport allowance will be provided. To be part of this programme please send vour Full name, mobile number, name of your school, class, age and residential location n to [email protected].or.tz before 15th / April/ 2019. Contact us through +255735078224 | +255782246547 for details and inquiry.